Motorcycle-inspired balance bike experts, Kiddimoto, have created a new motocross-inspired full face helmet specifically for children aged between two and 12 years. 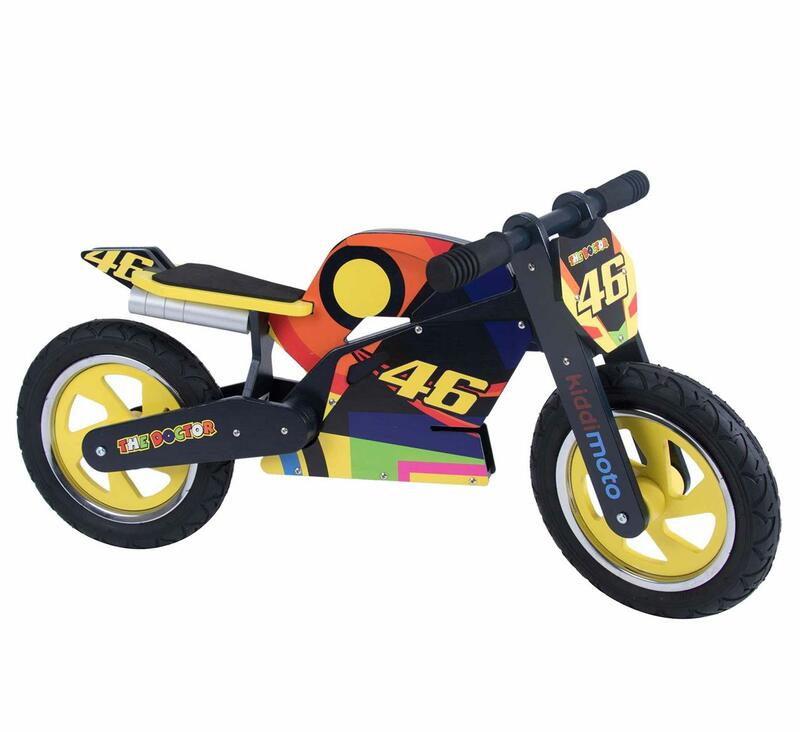 Known as the Ikon, the lid claims to be the first of its kind and offers lightweight protection ideal for imitating your motorcycling heroes on one of the firm's MotoGP-inspired wooden balance bikes, which consist of Valentino Rossi, Marc Marquez and Jorge Lorenzo, all retailing for £119.99 each. Priced at £64.99, the lid is available in four colour options and uses a polycarbonate shell and EPS liner. Weighing just 270g all in, it's ideal for children with weaker, developing neck muscles and the padding is also adjustable to give a secure fit as your child develops further. It is available in sizes small and medium. The chin guard is also fully removeable with one simple click, thanks to a patented locking system, and there are 12 integrated vents to help keep the rider cool. A peak will also assist during changing light conditions and help deflect dirt and water from the child's eyes. "Loads of people have told us they've been looking for a helmet like this," Kiddimoto founder, Simon Booth, said in a statement. 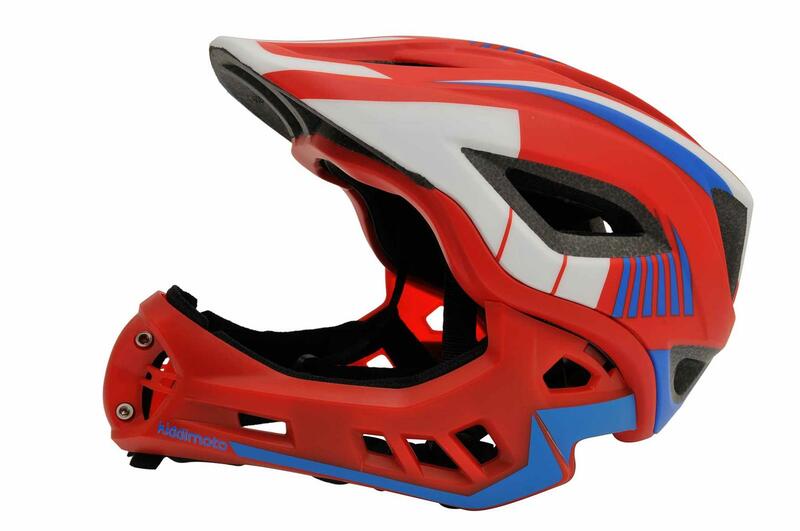 "Until now, the only option was to buy a small full-face adult helmet, which is much heavier." The helmets are available for pre-order at www.kiddimoto.co.uk now, with stock expected to arrive towards the end of next week. For safety conscious parents, Kiddimoto launches a range of stylish yet highly practical helmets.